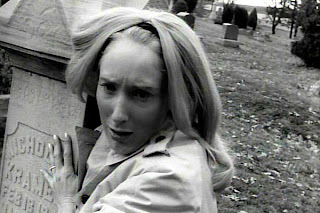 Judith O'Dea played Barbra in George Romero's 1968 classic Night of the Living Dead. Her career didn't stray much outside of regional theater and bit parts in films since then, but she remains an icon of the horror genre. 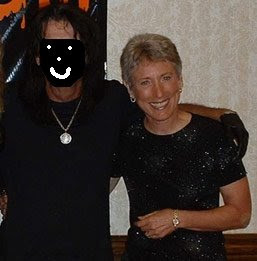 Today, she makes appearances at horror conventions across the country and yours truly met her at HorrorFind in 2004. She was a gracious and kind lady, spoke well of everyone involved in the making of NOTLD, and was kinda hot for a broad her age. I would have hit it if I hadn't been busy trying to score with Gaylen Ross. So I made the fatal mistake of sending my worthless Personal Assistant to summarize and report from a recent appearance in some podunk movie house somewhere in the desert. Here are his cryptic and brain-hemorrhage inducing notes from said appearance. Please note: these notes are NOT made up and are directly transcribed with only a little editing. They are real, true, and sad. G. Romero: personable, “Wonderful fellow, extremely normal Joe”. Theatrical release for NS late summer, early fall. I'm coming to get you, Barbra! Hubba-Hubba! Documentary style [in NOTLD]? “I don’t believe GR planned it out that way”. [GR] hired Duane [Jones] because it was the best audition, that’s why no big deals were made about the black-white issue. “I love the grainy stills at the end of the film.” Ask George. It worked out. Duane died within [the last] ten years. “Tom” [Keith Wayne] – Suicide. Sensitive person. Wife left [him]. [Trowel-wielding zombie] Caira [Kyra Schon] – wonderful young woman. Teacher in Pittsburgh. Sometimes meet at conventions. GR – has gone on. Focus still horror genre. Jack Russo – two with tire iron – wrote [NOTLD] with GR – still writing. Sequels – “let this not go outside this theater, but I’m really not a lover of horror films. 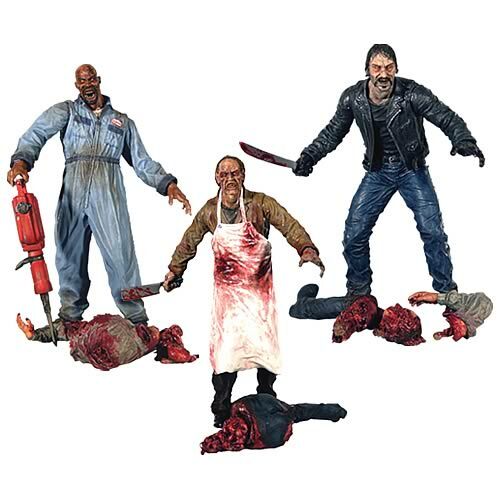 [They] scared me to death when I saw Vincent Price in House of Wax”. Saw most of Dawn, all new Dawn. Q: Convention experiences outside of US:. Haven’t gone to one. “Don’t do a lot of them. I am doing more now. Years ago, GR and I went to NYC convention. Girl asked me a question. I asked her why she watches zombie movies, she replied ‘I like to see all the different ways people can kill each other”. Followed by an outburst of laughter in the audience. Honor to talk to people about this work. Life changing.